Chaste tree berry, also known as vitex agnus castus, is a herb that’s commonly associated with horses in need of hormonal support. 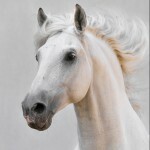 For this reason, you’ll see it on the ingredients list of many hormonal or moody mare supplements, as well as supplements that support stallions and rigs with hormonal imbalance. That said, chaste tree berry can also be fed to support the pituitary gland, so some people feed this herb to their horses for this reason. As with many herbs, the use of this herb to help support health is not new, in fact, chaste tree berry has been used for hundreds of years. The plant itself is native to the Mediterranean area, but is also found in other warm climates. The plant has pretty flowers, attracts butterflies and even has an appealing smell. 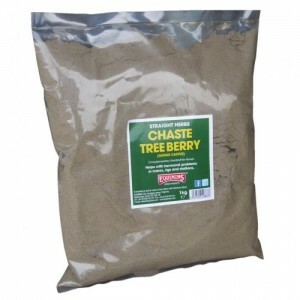 In supplements, the berry is used, but this is usually ground into a powder. In addition to Chaste Tree Berry from our Straight Herbs range, you’ll also find this ingredient in our Nightmare Liquid, Nightmare Hormonal Mare Supplement and Old Horse Liquid Herbal Tincture. To find out more about these supplements or for advice on your horse’s supplementation needs, just contact us.